The Kentucky Transportation Center at the University of Kentucky, like Texas, sent queries to all the states in order to categorize the use of warning light colors, but this time, the university wanted to gather data on highway work vehicle warning lights. The Kentucky team developed a survey that attempted to identify which colors, forms of lights, light intensities, and installation locations each state employed. Through the State Highway Safety Engineers LISTSERV database, it was possible for DOTs, universities, and other agencies to communicate and share information by answering questions with others who are part of the same community dedicated to safe roads. The survey began on June 1, 2015 and continued for 12 days; it was circulated among all state DOTs. 16 states responded. All 16 used amber/yellow lights in their warning systems for highway work vehicles, which was predictable, but other colors were used as well. White, red, and blue combinations were used with amber flashing lights to varying degrees on 44% to 25% of work vehicles. 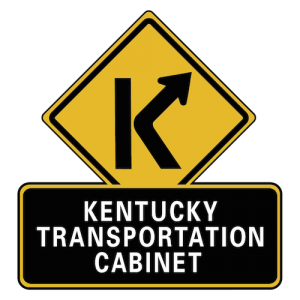 Kentucky DoT Recommends the use of Amber Traffic Advisors while stationary. While this study did afford valuable information about how various state employ their warning lights, it was limited to those emergency light on a specific group only, but the findings were beneficial to motorists. The department recommended the use of large signs with amber flashing arrows which indicated which way the driver was go proceed. Motorists reported a sense of relief by knowing exactly what was expected of them as they moved toward the work zone. Traditionally amber lights have meant to proceed with caution, but by adding a flashing vector, motorists receive addition information; their anxiety levels fall; they can see much better as they move through the lights, and they are not as distracted by the rapid flashing lights. The Illinois and Phoenix studies have noted the same responses by motorists. What has become apparent is that there is an ever-increasing realization that there exists an immediate need to research the effectiveness of warning lights in a variety of situations. Thus far there is no national standard set by all DOTs around the USA. Because different aspects and functions are researched in diverse studies under varying conditions, it is impossible to develop and promote a comprehensive, across-the-board standard nationwide to determine where to place warning lights on first responder vehicles, what color combinations are most effective at what distances and under what weather conditions, what flash frequencies should be used in different locations, and what level of danger is perceived by the majority of drivers when they are approaching flashing warning lights. The whole subject of selecting the RIGHT light to get the job done is a lot more than just flipping a switch.